EDDM benefits for business are numerous, particularly for local businesses that want to target specific regions within their local area. If you don’t know what EDDM stands for, it means Every Door Direct Mail and offered through the U.S. Postal Service. What makes it unique is you can target specific neighborhoods without the need to put in a lot of time preparing the envelopes. Other benefits apply as well, though you have to adhere to a certain printed direct mail format that can be helped along with a graphic design company. The first convenient thing you’ll notice using this mailing method does not have to use individual names or addresses. Based on geo-targeting, the Post Office mails your direct mail to specific neighborhoods you want to hone in on. 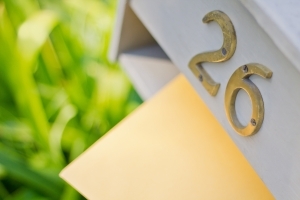 A person receiving your mailing at home will see the address listed as “Residential Customer.” While this might sound impersonal, it still gets your direct mail flyer out there to more people much faster. Even better, you don’t have to worry about paying a permit. 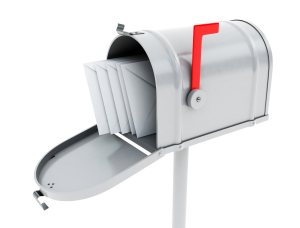 Regular direct mail requires an expensive permit fee that a small business with a limited budget won’t want to pay. With no EDDM fees, you can enjoy the ability to send to thousands of people or retailers with a lower expense. Yes, there is a small cost involved, though only 16 cent postage rate for each envelope. That’s an incredible savings for small businesses that need to save as much money as possible. It’s the design of your direct mail piece where your real focus should be. The Post Office has specific guidelines, and you also have to create your own design. In order to qualify for EDDM, you have to use a mail piece called a commercial flat. These have to measure at least 6 inches tall and longer than 11.5 inches wide. This can’t exceed the dimensions of 12 inches tall or 15 inches long. The indicia up at the top right of the piece also requires certain codes to qualify. An “ECRWSS” is needed there and stands for a very cryptic Enhanced Carrier Route Walking Sequence Saturation. 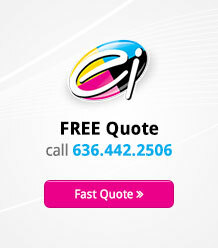 And then there’s the design and printing aspect that we can handle at Electro Image LLC. We’ll help you design a piece that reflects your brand with stunning use of colors and a layout you and your target audience will love. When doing direct mail, you want to take people by surprise at how beautiful printed pieces can look. We’ll make sure that happens while you enjoy the benefits of reaching more local customers than you ever have at an affordable cost.